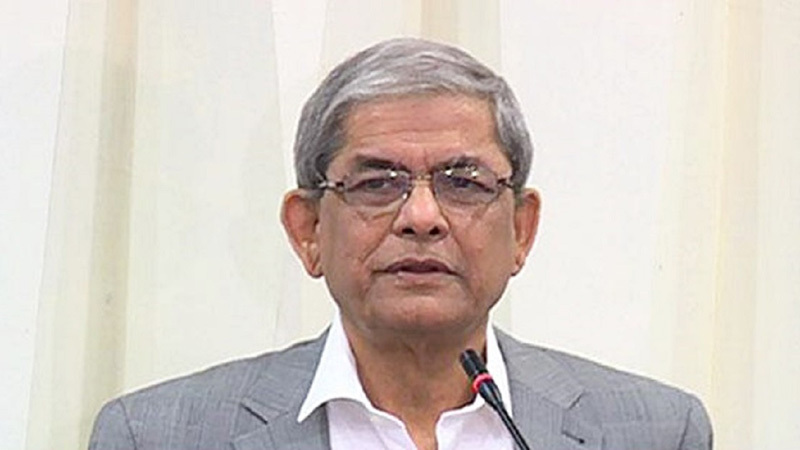 BNP secretary general Mirza Fakhrul Islam Alamgir on Wednesday said the reported gold scam in the central bank’s vault has manifested that the government ‘ruined the country’s economy’. “The government’s character and motto have now become clear to all. Corruption has now reached such a level that mixed metals have been kept at the Bangladesh Bank’s vault changing gold. Fake metals are kept there removing gold ornaments,” he told a human chain programme. The BNP leader also said though huge money was also stolen from the central bank’s reserve earlier, Finance Minister AMA Muhith could not yet make the report public of the investigation into the incident. “The Finance Minister said the hands of those involved in reserve heist are very long. So, why don’t you (Muhith) quit? Why’re you pampering and sheltering them (plunderers)? You’re destroying the economy to fulfill the government’s desire. You’re ruining the micro economy,” the BNP leader said. He said the ruling party leaders are buying homes abroad and siphoning off huge money by indulging in widespread looting. The BNP leader came down hard on Home Minister Asaduzzaman Khan for his Tuesday’s remark that there is no incident of violation of human rights and extrajudicial killing in the country, saying it is a ridiculous statement. Referring to different international rights bodies’ reports, he said "the incidents of extrajudicial killing, enforced disappearance, political killing and repression have marked a rise. The international agencies are also saying democratic space and human rights are gradually been squeezed in Bangladesh."